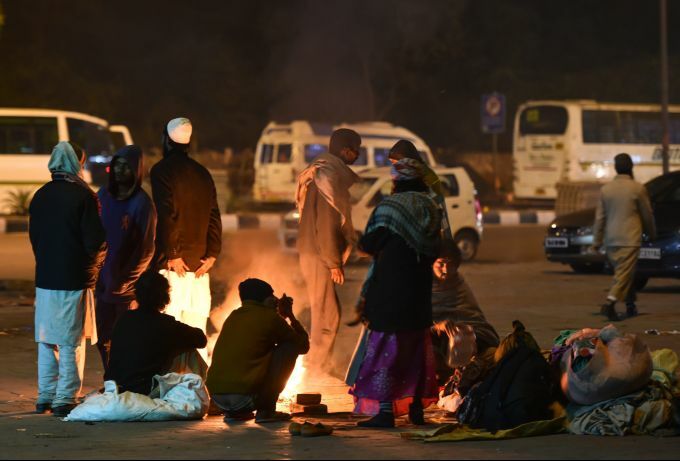 New Delhi: People keep themselves warm around a bonfire during a cold winter evening, in New Delhi, Sunday, Dec. 30, 2018. 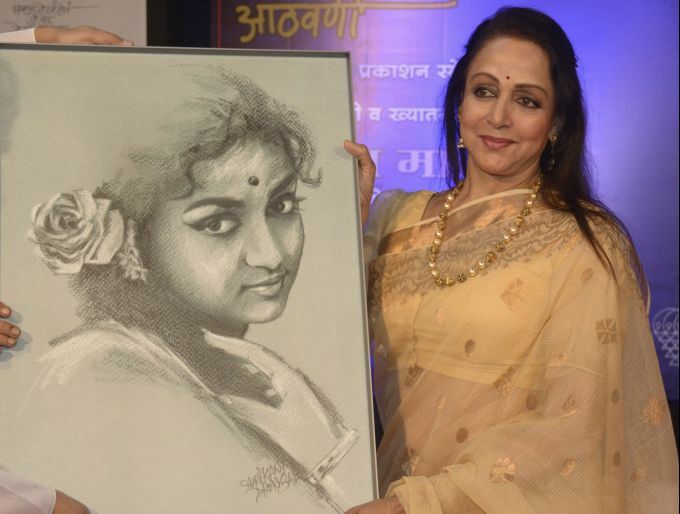 Mumbai: Bollywood actor Hema Malini holds a portraits of her gifted to her during a Braille & Marathi book launch, in Mumbai, Sunday, Dec. 30, 2018. 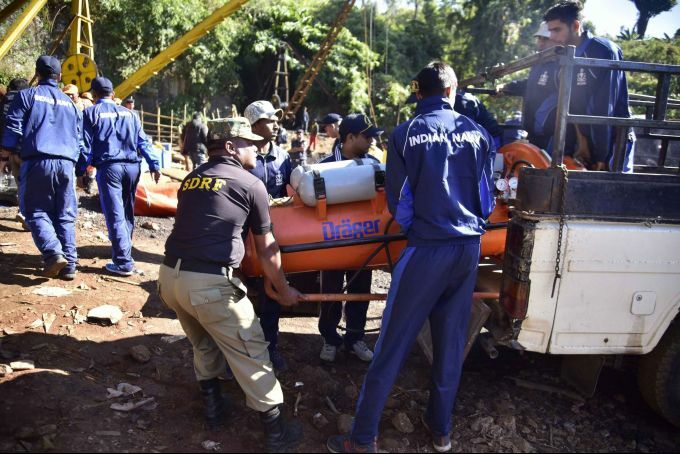 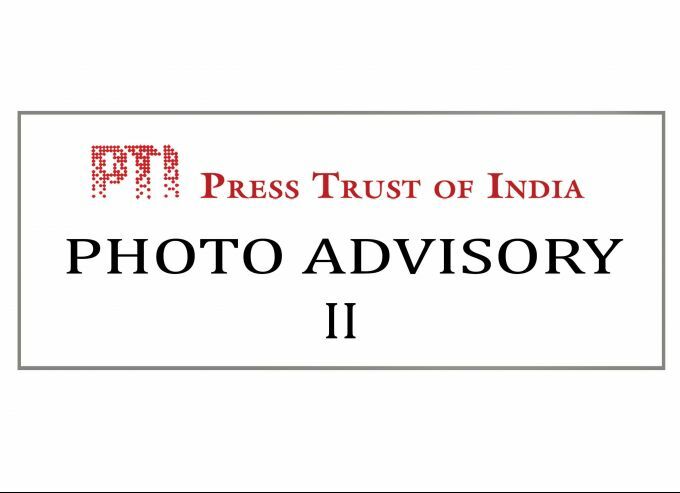 Jaintia Hills: A team of 11 Navy divers with their equipments deployed to conduct rescue task at the site of a coal mine collapse at Ksan, in Jaintia Hills district of Meghalaya, Sunday, Dec. 30, 2018. 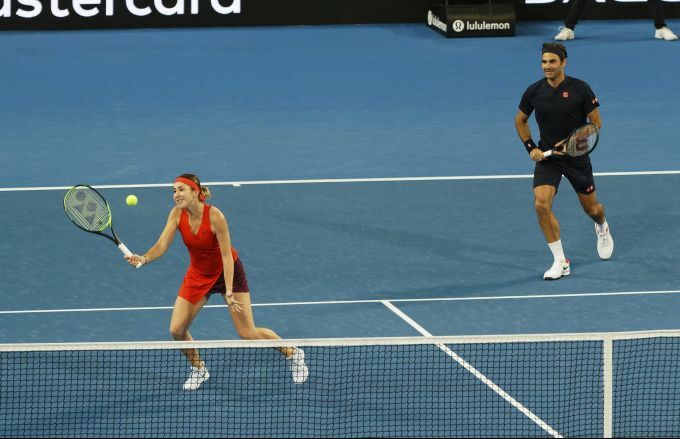 Perth: Roger Federer and Belinda Bencic of Switzerland during their mixed doubles match against Cameron Norrie and Katie Boulter of Britain at the Hopman Cup in Perth, Australia, Sunday Dec. 30, 2018. 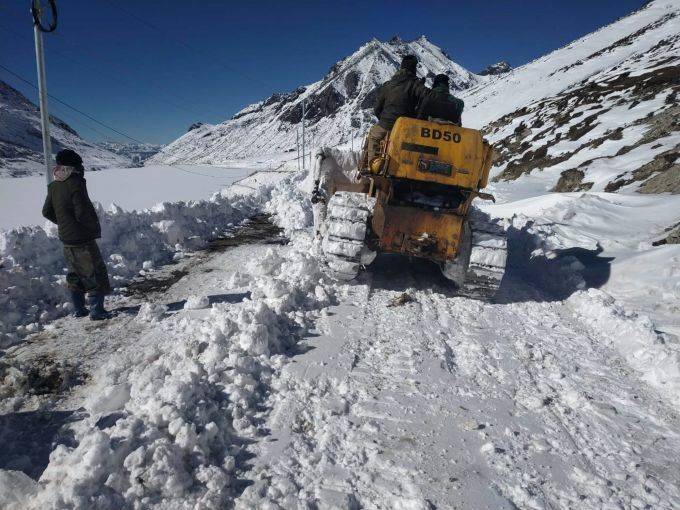 Sela Pass: Border Roads Organisation officials clear snow off from a road for smooth traffic movement following heavy snowfall, at Sela Pass, Sunday, Dec. 30, 2018.